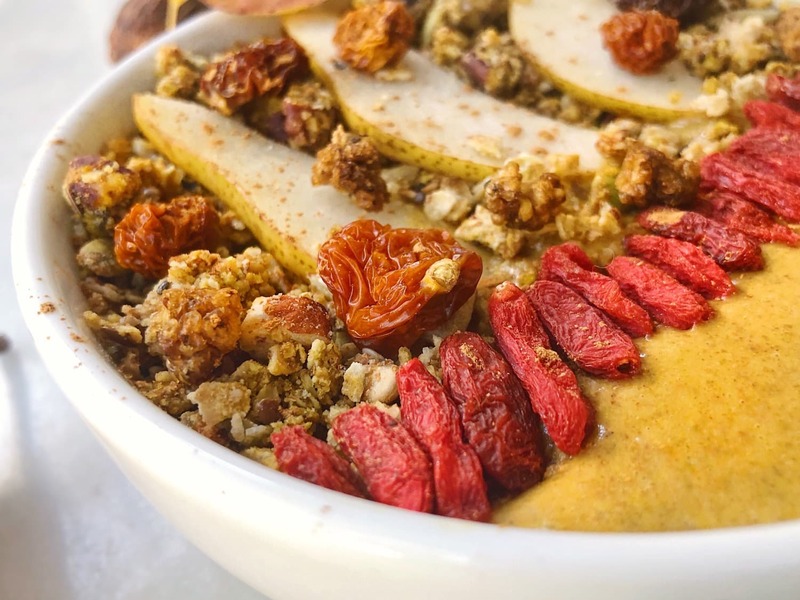 With our foods changing season to season our smoothie bowls need to too! I have been so caught up having cool, colourful, fruity smoothie bowls I didn’t really think of a warmer, heavier kind. 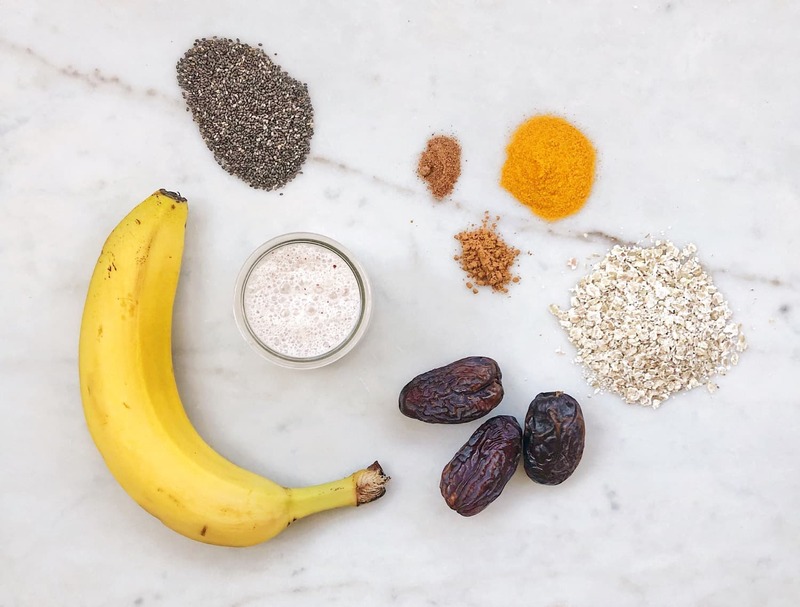 Our bodies naturally crave different foods over different seasons which is the reason I naturally felt guided to create my Warming Spiced Smoothie Bowl Recipe. This is defiantly my 2019 winter obsession. Spices and herbs are a fantastic foods that warm up the body and flood it with disease-fighting antioxidants. Herbs and Spices have antibacterial and antiviral properties and many are high in B-vitamins and trace minerals. Using them daily in our cooking and combining many of them together will boost health immensly! There’s another benefit: Because they’re so flavorful, they make it easier to cut back on less healthy ingredients like salt, sugar, and added fat. Well there’s a good enough reason to spice up your life…right? 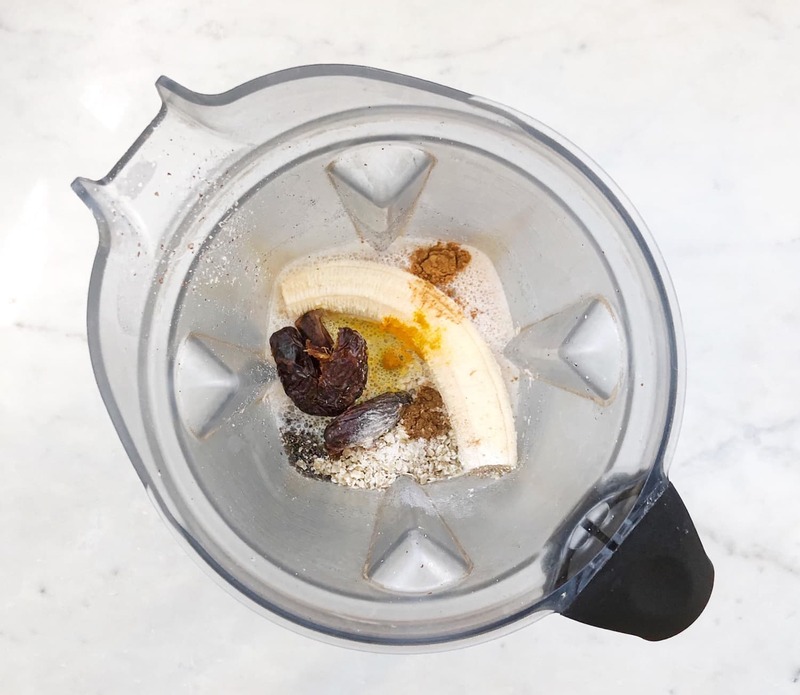 Place all of the ingredients in a high speed blender and blend until smooth and creamy. Let the blender go on a little longer to let the mixture heat up a little. Pour into a bowl, add you’re favourite toppings. My Granola Recipe is great with this! 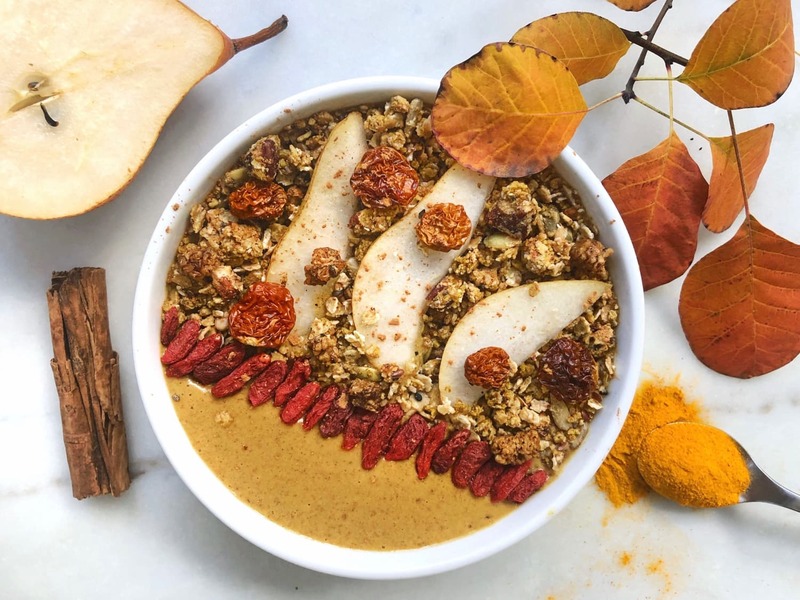 Take advantage of my Warming Spiced Autumn Smoothie Bowl Recipe over the winter and all the warming, immune boosting benefits it gives you. Before you know it it will be spring again and the fruity and flowery spring smoothie bowls will be back in natures fashion.